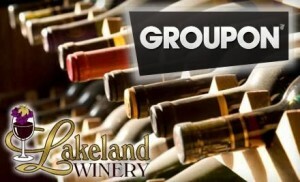 Another Groupon Syracuse Deal from Lakeland Winery! Our friends over at Groupon Syracuse have helped us to set up yet another great deal for everyone! Our previous wine deal on Groupon was such a great success—we sold well over 250(!! )—that we could not help but offer up an even better deal this time around! Winemaking is generally considered the best way to get to know wine, narrowly beating out writing it letters and getting stuck with it on top of a ferris wheel. Make a delicious new acquaintance with today’s Groupon: for $109, you get a winemaking party and 30 bottles of homemade wine at Lakeland Winery (a $218 value). Under the guidance of Lakeland Winery’s grape gurus, you and up to 29 friends will craft 30 bottles of Island Mist Series wine-based fruit juice. Wine-whisperers commence the 90-minute soiree by choosing from Island Mist’s easy-drinking incarnations of grape goodness, including pomegranate zinfandel, peach-apricot chardonnay, and black-raspberry merlot, while munching on snacks brought from home. Once a flavor is selected, it’s poured into a fermenting bucket, mixed with ingredients like elderflowers and oak, stirred, sprinkled with yeast, and air-locked to hibernate for seven weeks at the Lakeland warehouse. Following the fermentation, guests return to Lakeland to exorcise, bottle, cork, label, and dress 30 wine bottles. Finally, guests head for home with the bounding bundles of bottled joy, then let them nap in the cupboards, and wake them up just in time for dinner. 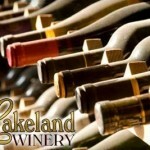 For an extra fee, customers can upgrade from the Island Mist Series to one of Lakeland’s Estate Series wines. Genius Idea: Think of Vinyou as an events board for wine lovers. 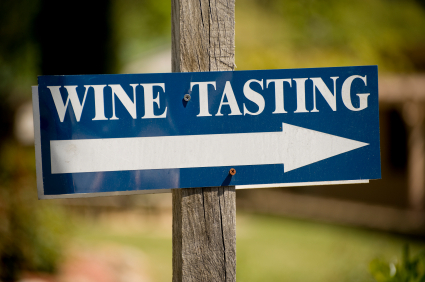 The site is set up so you can browse upcoming wine tasting events in your area and also post your own events to the community at large. Still, let it be known that the Syracuse Wine Meetup Group has the best wine events in the Finger Lakes, and Central New York, Lake Ontario wine regions.